Mayfair Ballroom - Ready Steady Gone! 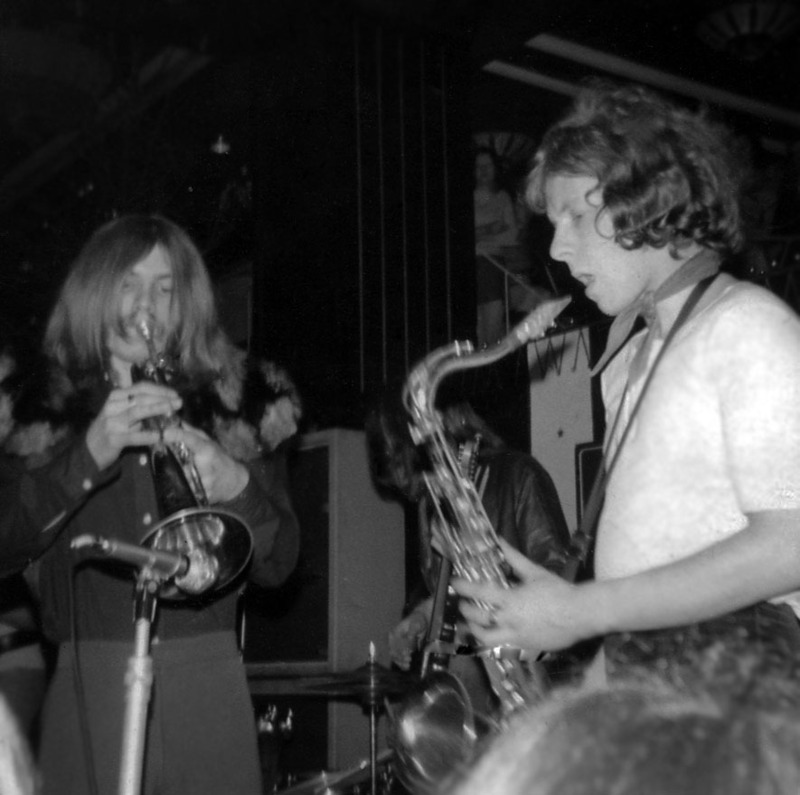 If you were in a north east band in the mid to late sixties it is likely that that there would be two Newcastle venues on your wish list of places to play – the Club a’Gogo and the Mayfair Ballroom. If you did get a gig at either or both of these places there was a good chance that you’d be supporting a well known band. 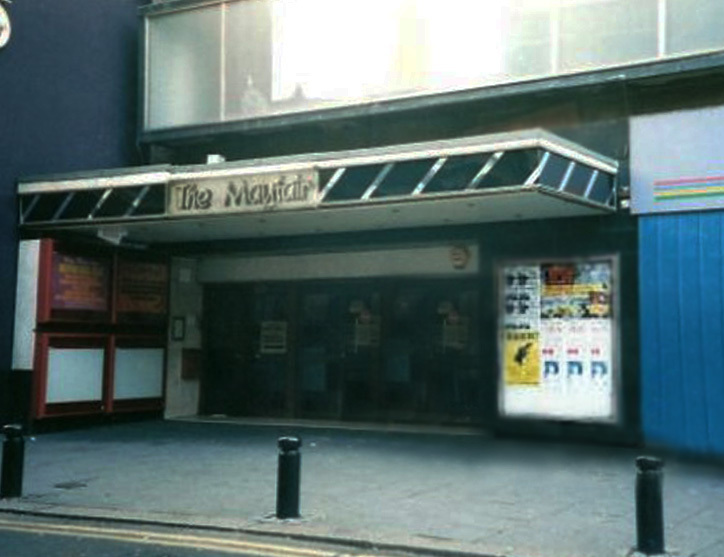 Unlike the Club a’Gogo, which had a life span of around six years, the Mayfair was a popular venue from the sixties through to 1999 when it finally closed. It is reputed to have hosted Europe’s largest and longest-running rock club, spanning nearly four decades. Some of the biggest bands in the world played at the venue early in their career; bands such as Pink Floyd, U2 and Nirvana. The material on this page is primarily about the Mayfair between 1966 and 1972. If you are interested in the Mayfair Rock Disco of the nineties then click on this link. 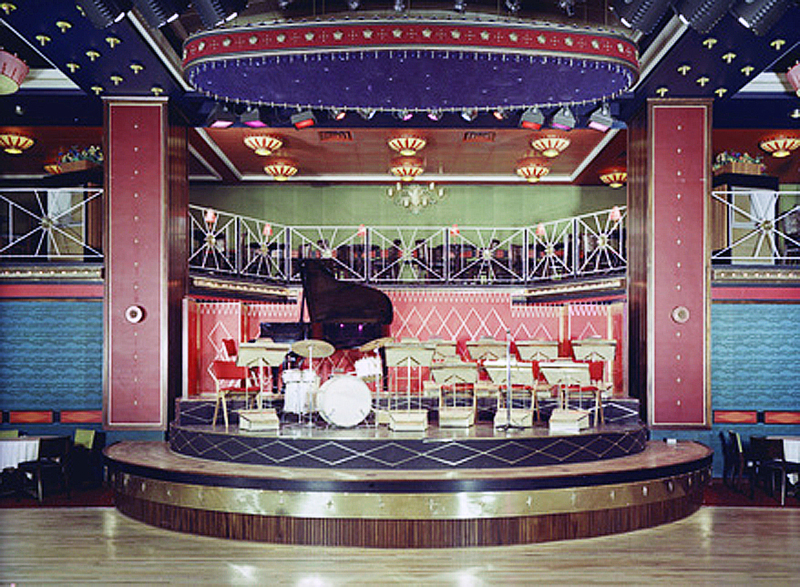 The Mayfair Ballroom, which was run by the Mecca organisation, opened in 1961. The entrance to the Mayfair was on the corner of Newgate Street and Low Friar Street (now the site of the Gate Leisure Complex). The foyer was on street level but most of the premises were below ground level. It had an oblong-shaped ballroom with a large balcony that went all around the room. There were several bars with seating areas on the balcony plus more bars downstairs in the areas surrounding the large dance floor. In the sixties the venue had a resident band called Jimmy Bence and his orchestra for formal dance nights, mainly on a Saturday. The venue was also hired out for corporate events (with or without the resident band) or to local promoters for a fee. Some of the local organisations to make use of the Mayfair’s facilities for their events were the Ministry (MPNI) at Longbenton, local colleges and Newcastle University for its rag week dances. Although these corporate and student events were primarily for people connected with the organisations, the dances were open to the general public and advertised in the local press. Throughout the sixties and seventies a promoter called Fraser Suffield regularly used the Mayfair for his promotions. Towards the end of the sixties Ivan Birchall the well-known Newcastle booking agent began promoting gigs at the Mayfair. Ivan would book one or two top bands and fill the bill out with a couple of local bands that were on his books. In 1970 the Sunderland promoter, Geoff Docherty began promoting concerts at the Mayfair in addition to the gigs he had been promoting at the Bay Hotel and the Locarno in Sunderland. 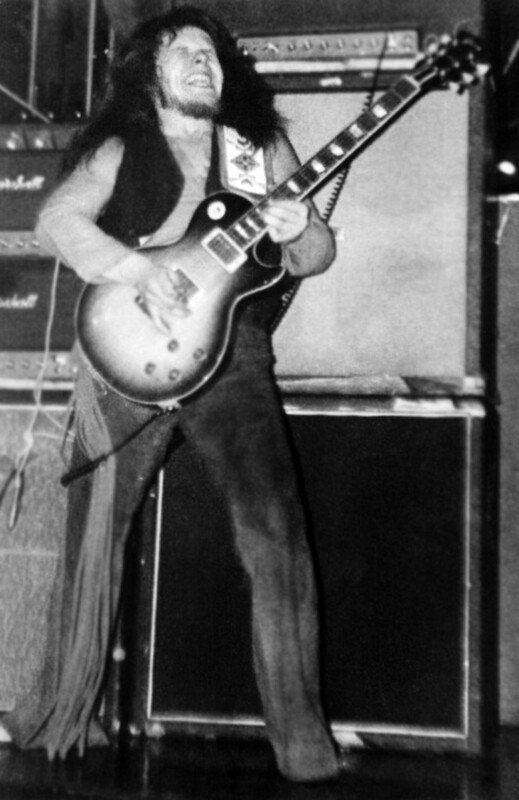 Geoff’s first promotion at the Mayfair on Thursday 9 April 1970 featured Rory Gallagher’s Taste and Black Sabbath. By 1971 most of Geoff Docherty’s promotions were being held in Newcastle under the Filmore North banner, either at the Mayfair or Newcastle City Hall rather than Sunderland. In the sixties and seventies there was a circular revolving stage, which enabled bands to set up on each side and follow on from each other without a break in the music. When a really popular band appeared there would often be a wooden barrier in front of the stage to stop over enthusiastic fans getting to their idols. Sneeze at the Mayfair in 1969 behind a fan proof barrier! One of the hazards for band playing at the Mayfair was that the balcony overlooked the rear of the stage and was a good place for people to stand and aim abuse or even missiles at the band if they didn’t like them. 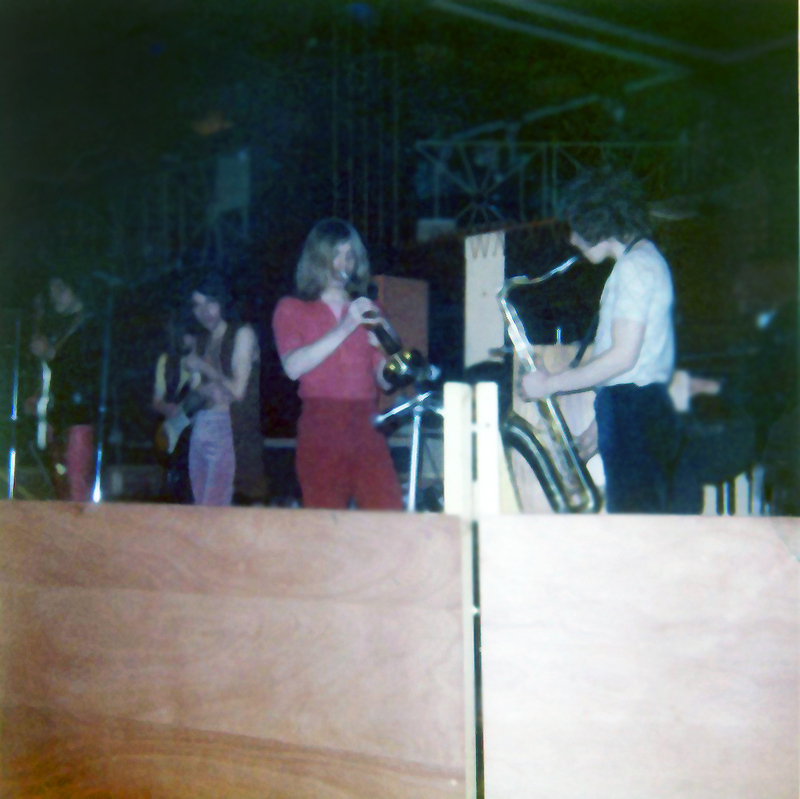 The Alan Bown Set appeared at the Mayfair in 1970 and during their opening number a glass was thrown onto the stage from the balcony area above. The band promptly left the stage and refused to return. When I appeared at the Mayfair quite regularly with Sneeze in 1969 and 1970 we used to strap our four PA (open backed) speaker columns to the balcony above the stage. After one gig we discovered that someone had methodically punctured each of the sixteen speakers with a knife. Fortunately the cuts were clean and didn’t affect the sound too much. Jimmy goes on to list some of the acts he saw on his regular Friday night visits to the Mayfair – David Bowie, Tyrannosaurus Rex, Queen, Rory Gallagher, Led Zeppelin, Spirit, the Alex Harvey Band, Deep Purple, Jon Hiseman’s Colosseum, AC/DC, Free, Thin Lizzy, Wishbone Ash, Nazareth, Family plus many more. My own band, Sneeze, even gets a mention. 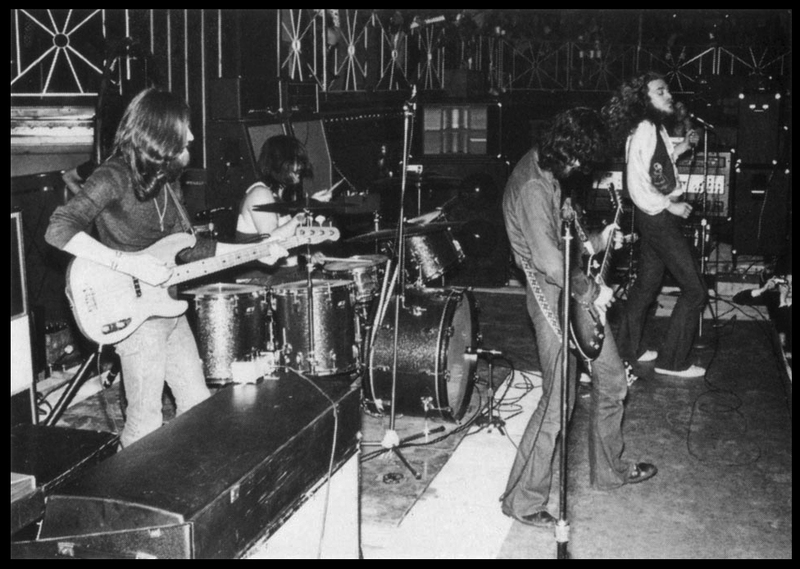 A few people will recall a performance at the Mayfair in 1968 that launched the illustrious career of the rock band Led Zeppelin. A gig was advertised for the Yardbirds at the Mayfair on 4th October 1968. The support bands were to be Terry Reid’ Fantasia, the Junco Partners and Downtown Faction. The Yardbirds, featuring vocalist Keith Relf and guitarist Jimmy Page had actually broken up in July 1968. Because the Yardbirds were due to tour Scandinavia, Keith Relf allowed Jimmy Page to put together a band to fulfill the Yardbirds’ outstanding commitments. 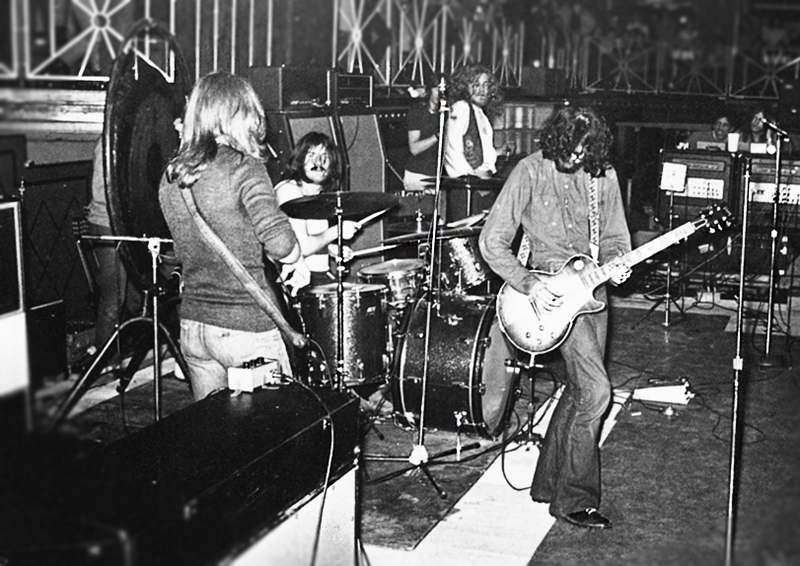 Page formed the ‘New Yardbirds’, which featured himself, Robert Plant, John Bonham and John Paul Jones. 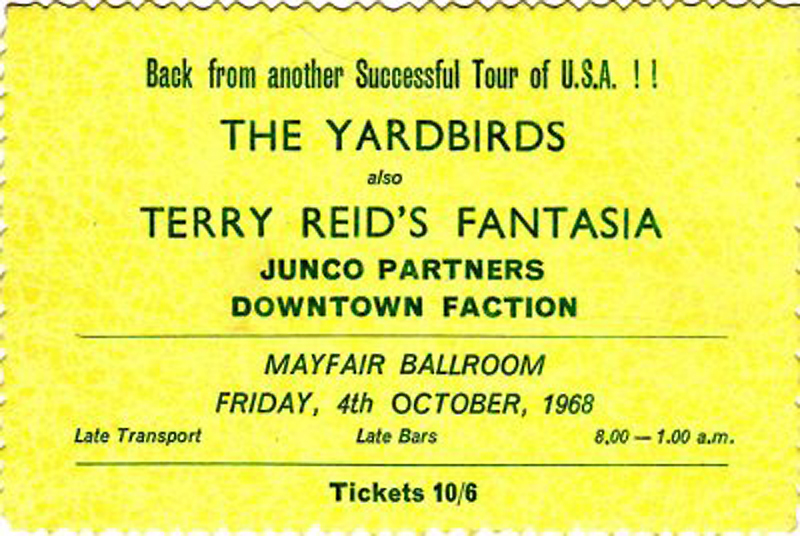 People who went to see the Yardbirds and Terry Reid on 4th October may have been disappointed. The New Yardbirds (albeit advertised as just the ‘Yardbirds’) had only one member of the former Yardbirds – Jimmy Page. Terry Reid and Fantasia also failed to appear. His band was elsewhere supporting Cream on one of their farewell tours. They were replaced by Leeds based band New York Public Library. By all accounts the Mayfair wasn’t very full that night. Some people, expecting to see Keith Relf and the Yardbirds even asked for their money back and left. Not long after the Mayfair gig Jimmy Page changed the name of the New Yardbirds to Led Zeppelin. Eddie Martin, the vocalist with popular Newcastle band the Sect remembers that the band used to play every Thursday with two different local bands and usually a top chart band. The bands that Eddie remembers Sect supporting were the Troggs, The Move, Humble Pie, T Rex and Dantalions Chariot (which was Zoot Money’s band when he moved away from soul music). Pierre Pedersen, Hammond organist with Sneeze, Yellow and Blondie once told me an amusing anecdote about an incident involving one of his former bands called Coloured Rain. The incident had occurred on 26th September 1968, several months before he joined Sneeze. Coloured Rain had played at the Mayfair on the same bill as Pink Floyd and the Nice (forerunners of Emerson, Lake and Palmer) plus another local band, the Sect. Coloured Rain had drawn the short straw and had to follow on from the Nice. The climax of the Nice’s set was their electrifying instrumental version of Leonard Bernstein’s ‘America’ (from West Side Story). As ‘America’ reached its crescendo with the extremely heavy sound of the Nice reverberating through the Mayfair, Keith Emerson was standing on his Hammond organ, feet on the keys, throwing big knives at his Lesley cabinet. The stage revolved with the last chords of ‘America’ still in the air and with the crowd shouting for more. As the Nice disappeared, Coloured Rain came into view playing a very weak version of the Drifters’ song – “Down at the Club”. The Mayfair floor cleared within seconds. Coloured Rain and, in particular, Pierre the Hammond organist, learned the true meaning of the phrase – “a tough act to follow”! As for my own memories: The first time I played at the Mayfair was with a band called Jazzboard in April 1966 supporting the Pretty Things. I particularly remember the night because our drummer, Nigel Olsson (now with Elton John) didn’t turn up. He had been arrested by the police earlier in the evening on a warrant for some trivial matter and they wouldn’t release him so he could get to the gig. We had to persuade the Junco Partner’s drummer, John Woods, to fill in for Nigel. I subsequently played at the Mayfair regularly with three other bands – Village, Sneeze and Scalliwag. I remember one gig at the Mayfair in December 1969 when Sneeze was supporting Love Affair. The Love Affair’s vocalist Steve Ellis surprisingly announced on stage that he was leaving the band. There were lots of tears from the band’s stunned fans. I suppose there’s one gig at the Mayfair I’ll never forget. That was on the 24th May 1968; the night I first met my wife! Some real blasts from the past there, brilliant, Pieces Of Five, remember Frankie Burke vocalist very well, also my cousin Bob Braidwood, played organ for Spyda, back in 1970ish, was never away from the Mayfair, those days. I remember a night run by the students union at the Mayfair in the 60s where they would have on 3 or 4 top groups. My mate and I were upstairs buying hot dogs and I got ours and put plenty of Tomato sauce and Mustard on both and went to move away from the counter when a guy in a light tan suede cowboy jacket backed into me covering his suede tassels in sauce. I wanted to tell him but I chickened. I gave my mate his and told him see that guy look at the back of his jacket just as he turned round and it was `Chris Farlow. He was on stage about ten minutes later and when he turned around to sing to people upstairs from the revolving stage the sauce had spread as a large black arc across his back. I bet he wasn’t too happy when he was told. Looking back at who appeared in the 60's and 70's has the hairs on the back of my neck standing up. Attended some of the gigs including Rory Gallagher, Ten years after with medicine head, Quintessence and more. Fantastically enjoyable reading of some classic moments in time. I wonder if there are any bands that may have been recorded on 'Cine 8' or whatever other formats that there were around at the time for recording? In the early to mid '70's, I saw a band called Dogg, Taylor & Gunn. I wonder if 'the Dogg' was the same one who had previously played The Mayfair in the '60's? What a time it must have been in the development of progressive rock! There was a resident band in the Mayfair, Johnny Bence Orchestra. Does anyone know if they kept on playing or split up? The Faces on my 17th birthday 28/5/71 a musical life changer,David Bowie,Rory Gallagher,Groundhogs,Cheap Trick, Deep Purple, Frankie Miller,Steve Earle. Diverse bands and magical memories. Catching the milk train home in the early hours from the Central Station to Morpeth then walking with pals the 3 or 4 miles to GuidePost every moment and hangover worthwhile. I was lucky, along with a friend of mine to get tickets to see Derek and the Dominoes in 1970. I'm glad the promoter, Geoff Docherty added " featuring Eric Clapton " on the posters otherwise I would not have gone, Eric had asked him not to put his name on the poster but Geoff took a chance and it turned out Eric' just laughed about it. I was lucky to play there a couple of times myself as I played the clubs with a band that went on to become Federation who used Ivan Birchill, the booking agent for the Mayfair at the time. I was sad to hear that the Mayfair was being demolished, suffering the same fate as a lot of the social clubs as music and the culture has gone into decline. I remember all these gigs so well and the support band Traction. I knew a member of the Traction very well and still have fond memories of those halcion moments in time. Thanks for all those brilliant memories. Does Anyone have a list of bands who played at the mayfair 1972 to 197 for a few years and would love to see a list to remind me of my youth! I was at the Deep Purple gig in July 1970 (my first ever time) and remember the support act was Daddy Long Legs and not Taste. It was a great night, just as Black Night was hitting the charts. I was 14 and lucky to get in! 3.7.71 Procol Harum was a no show. I remember seeing Chicken Shack that night but don't recall Stone The Crows. Do you know which paper to check for 1964 gigs? #Nick - The Mayfair gigs would have been advertised in the Newcastle Evening Chronicle (available on line at the British Newspaper Archive). Thank you so much for your website. I saw The Who at the Mayfair in 1970 and was so pleased to see the gig listed on your site so that I could put a date to it. I saw The Who again a couple of years ago at the O2 and they are still great! How do I get hold of the book "Ballroom Blitz: The Newcastle Mayfair Story"
I am TRYING to compile the definitive list of gigs at the Mayfair & the City Hall. This site has been an invaluable source of info. Many happy memories... including... Black Oak Arkansas/Sassafras 1975.02.28; AC/DC/Suburban Studs 1977.10.14; Def Leppard/Tarot 1979.08.10 for 50p! ; Then a month later, working there with Mark Johnson among others, that hideous load-in/out! Sammy Hagar /Def Leppard 1979.09.13. Happy days and for all its faults, it was much better than that monstrosity The Gate! thanks for those dates Par I saw BOA [a very lively Jim Dandy] and AC/DC but didn't know when! btw Sassafras are featured on an OGWT programme recently uploaded on youtube. Actually come to think of it Beckett can also be found on OGWT. To say that most of Geoff Docherty’s promotions by 1971 were held at The Mayfair and the City Hall simply isn’t true. Many gigs were still being held at The Locarno Ballroomand The Top Rank Suite in Sunderland for several years after that. 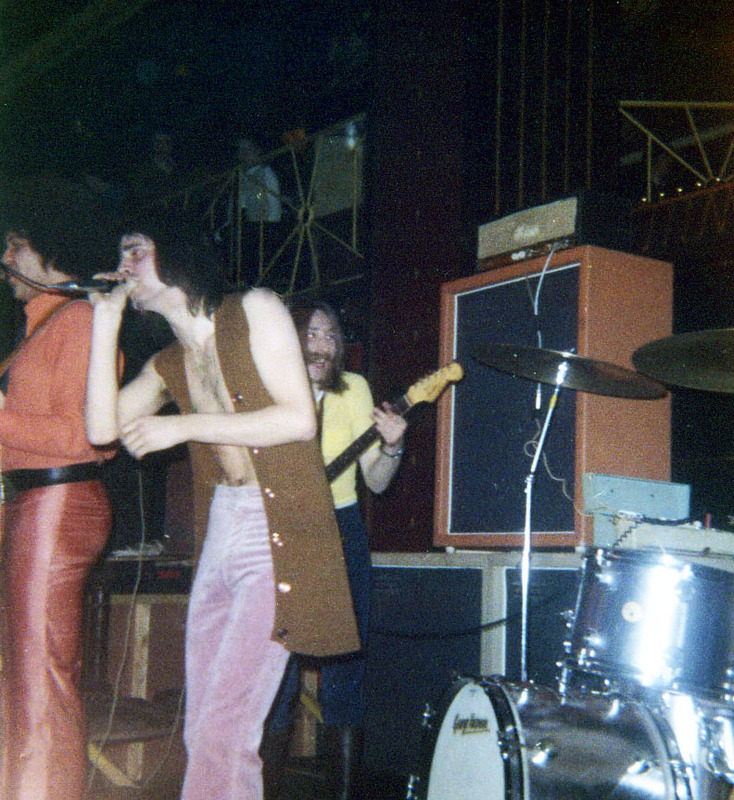 Re comment #22 - according to Geoff's list of gigs that he promoted in the northeast between 1971 and 1972 (sourced from his book 'A Promoter's Tale - Rock At The Sharp End'), 43 were in Newcastle and 13 in Sunderland.